Are you ready for Spring Jam 2016! Get ready! Tickets are on sale as of November 9th for the April 2016 event. 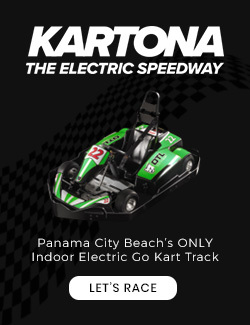 This event is family friendly and a strong draw to the laid back beach vibe you come to Panama City Beach to enjoy. Starting April 7, 2016, Country music comes to the beach, and so should you. There is nothing better than great live entertainment on a Panama City Spring night. Bring the family and friends and enjoy fun and games at Aaron Bessant Park. Lodging packages are also available and if you are coming from outside the Bay County area, we recommend you make your reservations early. Dates for the Spring Jam Festival are April 7-9th, 2016. The fun starts daily at 2:00 pm and goes to 11 pm. Click here to see the Full Line up! This three day festival will feature the musical stylings of Chris Young, Rae Lynn, Drake White, Blackjack Billy and Mo Pitney starting on April 7th, 2016. Day 2, April 8th, promises even more of a good time with the talents of Thomas Rhett, Jerrod Niemann, Jamie Lynn Spears, Them Dirty Roses and Parmalee. And Saturday April 9th closes out the Spring Jam with a stage full of awesome! Rascal Flatts, Brothers Osbourne, Old Dominion, Kelsea Ballerini and Kirstie Lovelady will hold court and your attention as they jam the night away! Come for the day or the whole weekend! Bring the kids and dance under the sun until the stars come out! Recurring daily at Aaron Bessant Park.